Absolutely brilliant and fun way to see the main sights! 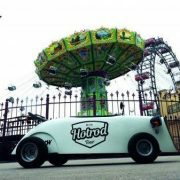 HOTROD is by far the coolest and most fun way to explore Vienna during the day or at night. The HOTTIES are very easy to drive and our guide will take care of you from start to finish. 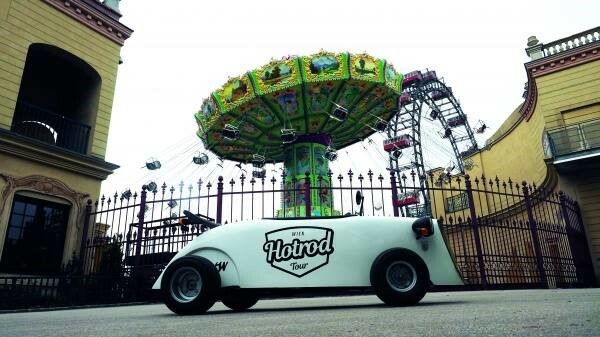 The route goes around the Ringstrasse, passing the major tourist sights and through the Prater with a view of the Giant Ferris Wheel and then over the Danube to the Vienna International Centre. If you would prefer to be incognito in Vienna then this tour is admittedly not for you. At every red light, pedestrians and drivers alike will pull out their cell phones and take photos of the unusual vehicles.